We plan a variety of additional books to expand the Quantum Black setting. 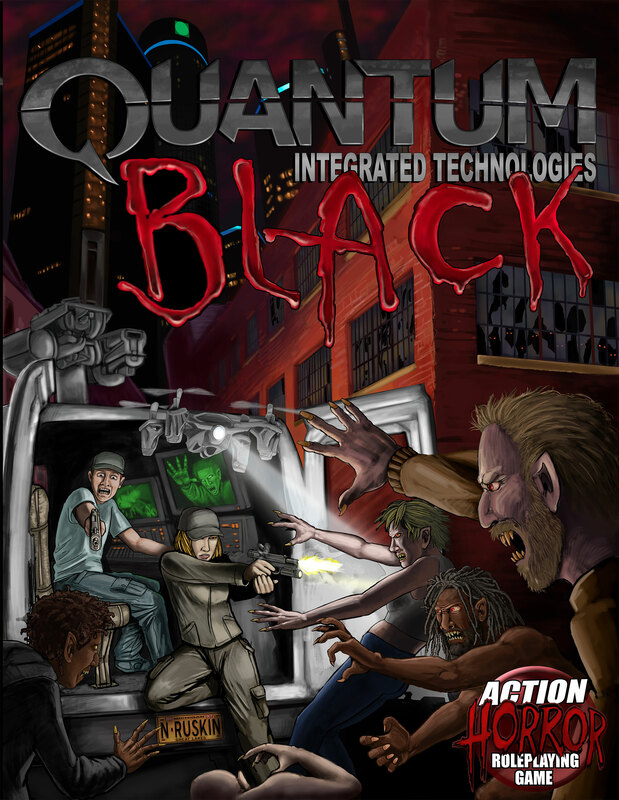 This book introduces the Quantum Black setting and includes a full set of Ubiquity rules with additional rule content for horror games set in modern times. It also includes modern equipment, new magic rules, and statistics and descriptions for a wide variety of cosmic horrors, including Shoggoths and Ghouls. The Revised Edition features corrected text along with significantly improved layout. This book is hard back and is black and white. 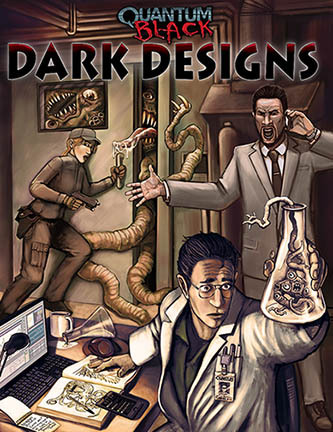 Purchase a PDF of the book at DriveThruRPG.com. Hard back copies are available through Studio 2 Publishing. You can purchase directly through them, or you can ask your local game strore to order a copy today! Make your Quantum Black games run even more smoothly! The Quantum Black GameMaster Screen provides 6 panels in landscape format. The player-facing side features two panels of art from the cover of the Quantum Back Core Rules book along with a panel featuring the logo. The three interior panels contain some of the most frequently used rules and charts, including page number references corresponding to the Revised Edition of the book. This allows fast access to rules and saves wear and tear on your book. While this Gamemaster screen follows the Ubiquity System-based rules of Quantum Black, the inserts are designed to be used with the Savage Worlds Customizable GM Screen or any other customizable landscape-style GM screen. Purchase a PDF at DriveThruRPG.com. Get the inside scoop! This book details the inner workings of Quantum Black and new facilities. It also provides the dirt on the infamous Spider teams, new weapons, a modular build-a-drone system, vehicles, and information on new rival organizations. See more information in our blog! This book is 72 pages and in full color. Purchase a PDF at DriveThruRPG.com. Purchase a physical copy from Studio2 Publishing! The Darkness is spreading as the world of Quantum Black continues to evolve. Many new projects have arisen. Be careful, though, the titles and full details of each project may change as they come closer to fruition. 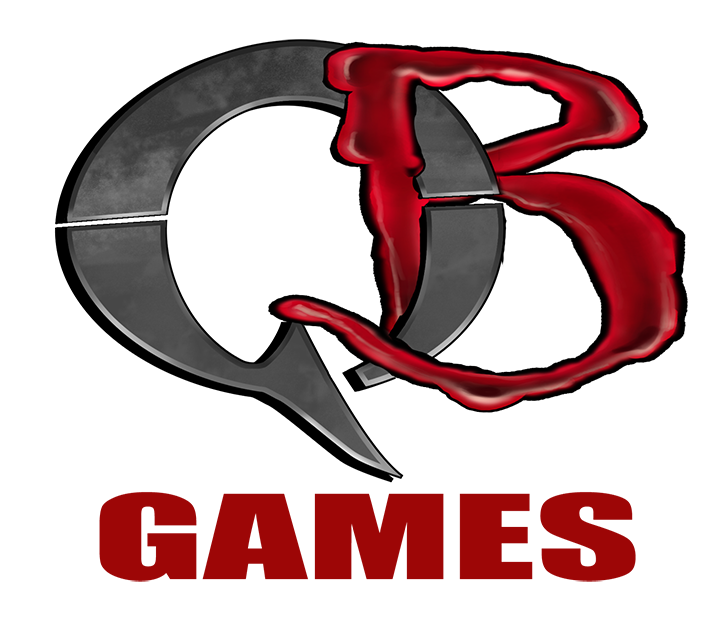 We are working on a variety of books providing more details on the world of Quantum Black, new equipment, character generation options, organizations, and foes. These offerings will flesh out the Quantum Black setting to make it more a more feature rich environment to explore. Here are books we are working on now. A completely new campaign set in the world of Quantum Black. The Paladins of Charlemagne are an ancient order devoted to recovering dangerous relics. Over the centuries, they have split into factions across the globe. Recently dealt an almost crippling setback, the Paladins will resolutely rebuild from the ruins. Do you have what it takes to be a Paladin? Inspired by shows such as Warehouse 13, the Librarians, and The Lost Room, this book will feature everything you need to know to run a Paladins campaign. Also included are optional rules for playing sometimes more lighthearted horror. Other realities are bleeding into our own! The Cthulhuian monsters in Quantum Black: Core Rules were just the beginning. Creatures resembling demons, devils, angels, fey, and pagan gods are are cropping up. This book includes new threats and expands the types of magic in the Quantum Black world to include rules for sorcerers and witches. Keep your Quantum Black campaign at the forefront of technology. The world of Quantum Black is undergoing a period of rapid advancement of technologies. This book contains new equipment, weapons, and a modular system for designing your own drones. It also includes rules for cyborgs and hacking. We also have longer term plans for a few core books. This book details the undead within the world of Quantum Black. This book includes classic monsters and cryptozoological menaces. What is a game world without adventures? Continue to explore The world of Quantum Black. We have a variety of adventures in the works. Everything from adventure seeds to full fledged events. Our first adventure is described below. Not sure what Quantum Black is all about? Try our Quantum Black Jumpstart and Learn to play Quantum Black! This book is for a group wanting to try out Quantum Black. It includes a quick summary of the background and rules and an adventure designed to last one game session. The title for this is still classified. We have many more plans. Stay tuned! Until then welcome to the Darkness…. We’ve been waiting.